As an investor, you have goals: You want to protect your assets and see them grow. You want a retirement that lets you enjoy yourself without financial worry. If you have children or grandchildren, you want to provide them with quality education. At Little & Associates Wealth Management, we understand these goals. 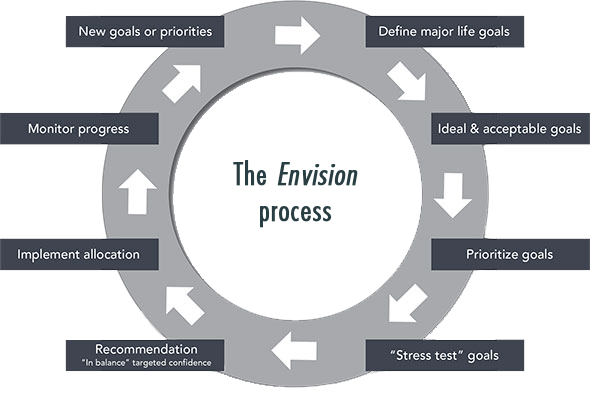 To help achieve them, we offer the Envision® planning process which will address your needs when you encounter a critical financial and life event. Our financial planning services are customized to meet each client’s individual needs. Little & Associates Wealth Management has a common goal – to completely understand your financial situation so that we can create a strategy and plan to get you on track – and more importantly, to keep you on track. We believe that a thorough financial evaluation and a detailed financial plan are essential for long-term success.